According to Les Mobiles site, Virgin Mobile will be first to bring Sony Ericsson Xperia Play to France sometime in late March. 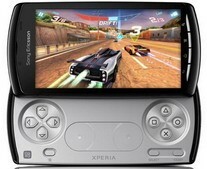 For those of you who are new to the world’s first PlayStation-certified smartphone, Sony Ericsson Xperia Play is an Android 2.3 Gingerbread powered smartphone coming with a 4-inch 480 x 854 multi-touch screen, dedicated gaming pad, HSPA, WiFi, GPS, 5 megapixel camera, 1GHz Qualcomm Scorpion CPU, Adreno 205 GPU, pre-installed 8GB memory card, and so on. 0 comments on "Virgin Mobile Sony Ericsson Xperia Play coming to France"